PACIFIC MISSILE FIRING RANGE, HAWAII, -- In a first-of-its-kind test, the U.S. Navy fired a Raytheon Company Standard Missile-6, intercepting and destroying a short-range ballistic missile target at sea. 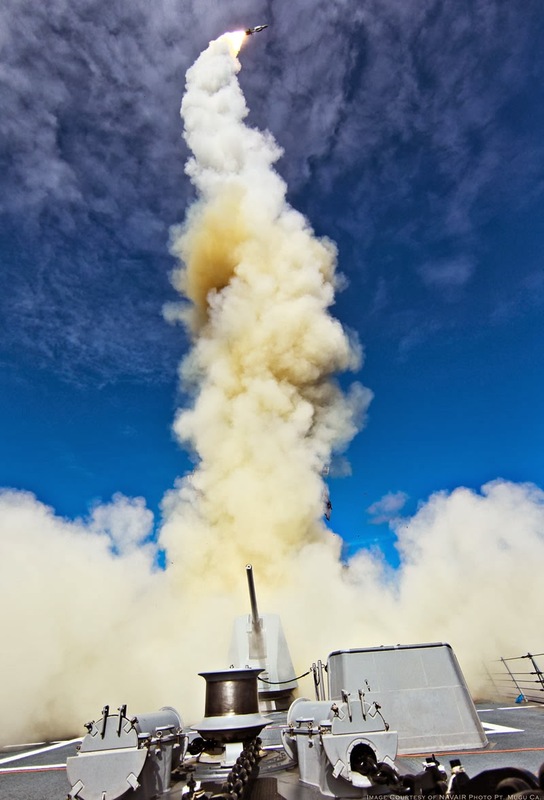 The successful U.S. Missile Defense Agency (MDA) test proved a modified SM-6 can eliminate threat ballistic missiles in their final seconds of flight. "SM-6 is the only missile in the world that can do both anti-air warfare and ballistic missile defense from sea," said Dr. Taylor W. Lawrence, president of Raytheon Missile Systems. "U.S. Navy commanders want both capability and flexibility to meet a wide variety of missions, and that's exactly what SM-6 offers." MDA's Sea-Based Terminal (SBT) program will protect against ballistic threats in their terminal phase of flight using SM-6 missiles integrated into the Aegis Weapon System. Called SM-6 Dual 1, it's on track to achieve initial operating capability in 2016. Following SM-6's interception of a ballistic missile target, three additional test events were conducted. During the series, the U.S. Navy fired two additional SM-6s in anti-air warfare roles. Both missiles successfully engaged cruise missile targets. The U.S. Navy also fired a Standard Missile-2 Block IV that successfully intercepted its target, validating this weapon's current capability to stop short-range ballistic missiles in their terminal phase of flight. Raytheon is a world leader in missile defense systems, including the battle-proven Patriot air and missile defense system; the SM-3 ballistic missile destroyer; the Exoatmospheric Kill Vehicle (EKV), and AN/TPY-2, the world's most advanced ballistic missile defense radar. A Raytheon SM-6 launched from an Aegis guided missile destroyer.